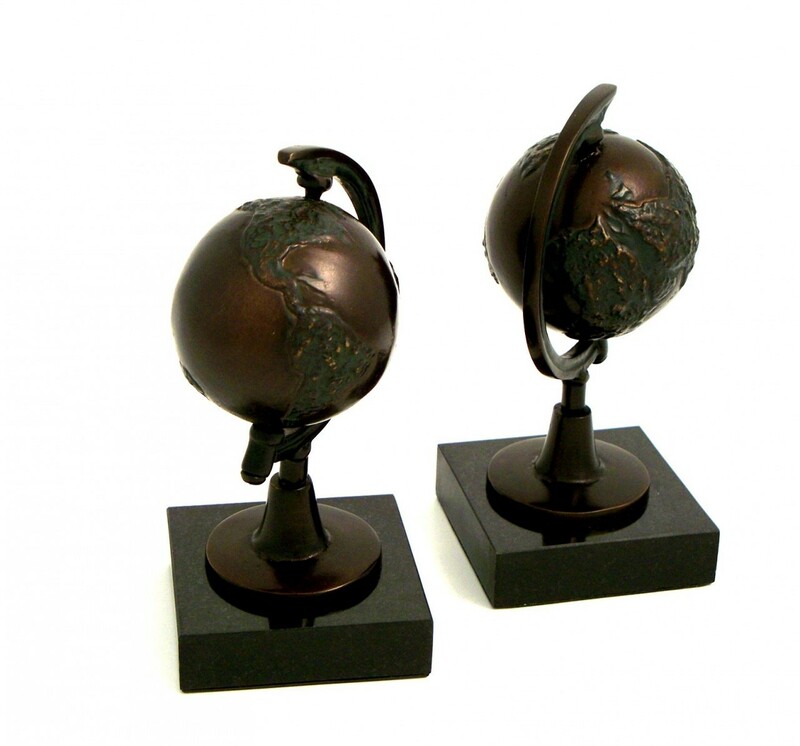 FEATURES/SPECS These globe bookends have an old world, antique feel to them that will add depth to any room. 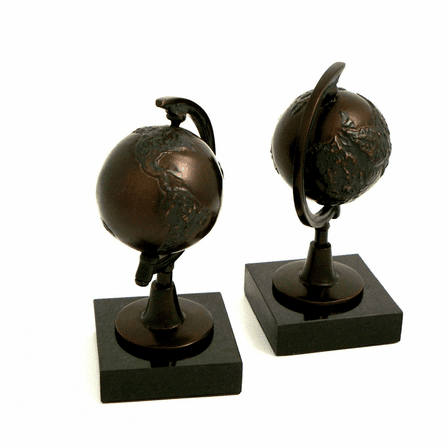 The set comes with two bookends, each made of bronzed metal. 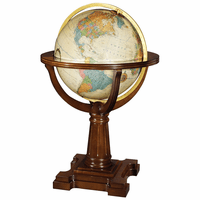 The continents on each globe are raised and darkened. The seas are pure bronze in tone. 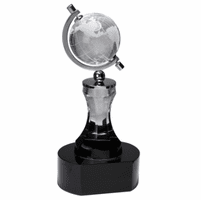 The globes are mounted on a pedestal, which is mounted on a heavy-weight marble base. 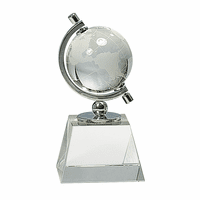 Each of these globe style bookends weighs three pounds, keeping your books right where they need to be. 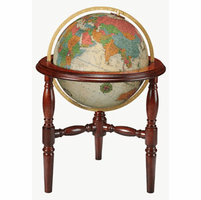 Dimensions: 8" x 3 3/4" x 3 3/4"